The move was made on the basis of advice from marine specialists after the visibly excited dolphin bumped against boats and bathers. Roger Lars, mayor of Landevennec, on the western tip of Brittany, issued a ban on voluntarily approaching within 50 metres (yards) of the dolphin and outlawed bathing and diving from the district's beaches whenever the animal is spotted in local waters. The move was made on the basis of advice from marine specialists after the visibly excited three-metre (10-foot) dolphin -- nicknamed Zafar -- bumped against boats and bathers, he said. 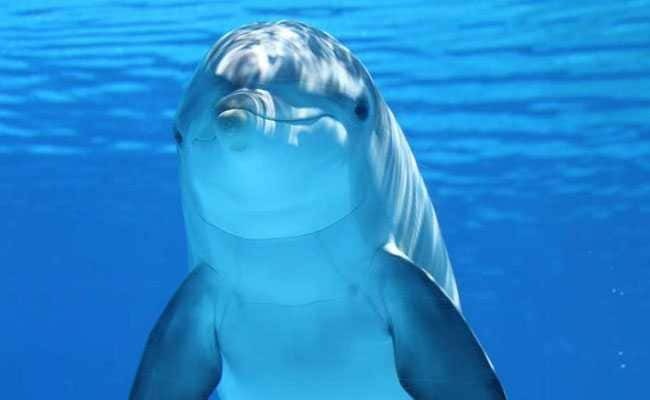 Sami Hassani, a specialist in marine mammals at the Oceanopolis sea park, said the dolphin could accidentally cause "serious injuries" with its tail fin. But the ban has run into legal problems. Lawyer Erwan Le Cornec told AFP he plans to file a petition to overturn the restrictions on the grounds of administrative over-reach. "How many accidents involving a dolphin and a human have occurred in the region of Finistere since the two species have lived side-by-side?" he asked scornfully. "None." "With this decree the mayor is trying to make out that the dolphin is almost like a ferocious beast, something that is completely unpredictable, able to drown people." The mayor, he said, "will overturn the rightly positive approach that people have towards dolphins into a fear of these intelligent animals."